From Monday 22nd January to Saturday 3rd February 2018 the University of Warsaw Library will be open until 5 am due to the “BUW for owls” action. The winter examination session will start on 27th January and last until 9th February. For those who prefer to study at nights, the University of Warsaw Library (Dobra Street 56/66) extends its opening hours. From Monday 22nd January to Saturday 3rd February the UW Library will be available until 5 am. Information Desk, Reading Room, Current Periodicals Reading Room as well as open stacks on 1st, 2nd and 3rd levels will be available after 10 pm. On Saturdays (27th January and 3rd February) the library will be open until 9 pm, on Sundays (28th January and 4th February) the library will be open from 3 pm to 8 pm. 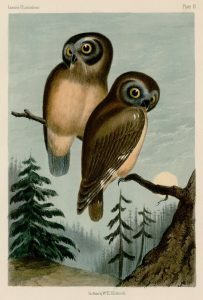 “BUW for owls” is available for valid library cards holders only. More information is available on the website of the University of Warsaw Library.